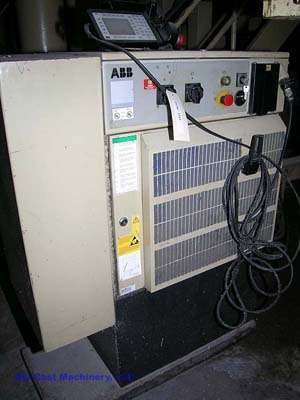 For Sale: One - Used - Second Hand - ABB/Rimrock IRB 6400 Foundry Grade Industrial Robot. Inventory item: DCM-1721. One used (second hand) ABB/Rimrock, Model: IRB 6400, 6 Axis Robot Sprayer with Rimrock Spay package and controls, Serial Number: C-10298, New in: 2004, Cell Number: 12, DCM Inventory Number: 1721. Foundry applications robot.